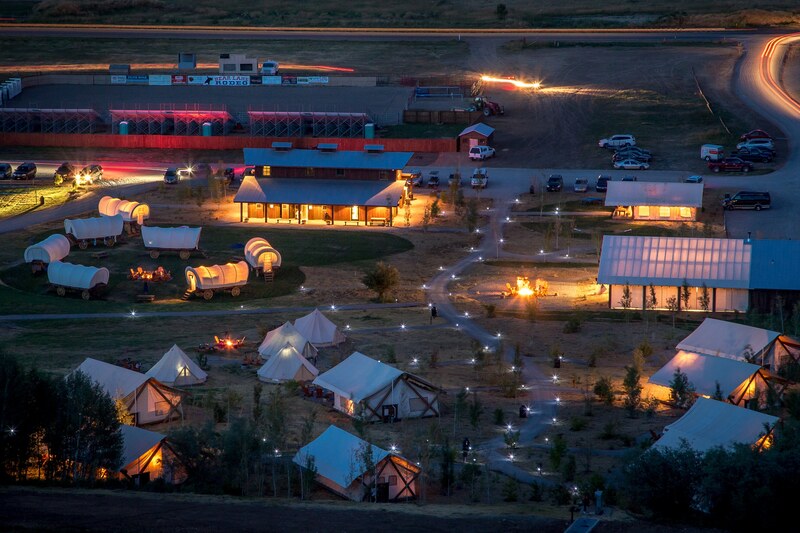 GARDEN CITY, UTAH – Entering its third season as Utah’s premiere, luxury glamping destination, Conestoga Ranch has lined up an opening weekend that offers guests a wealth of diversions and unique dining experiences for the whole family. 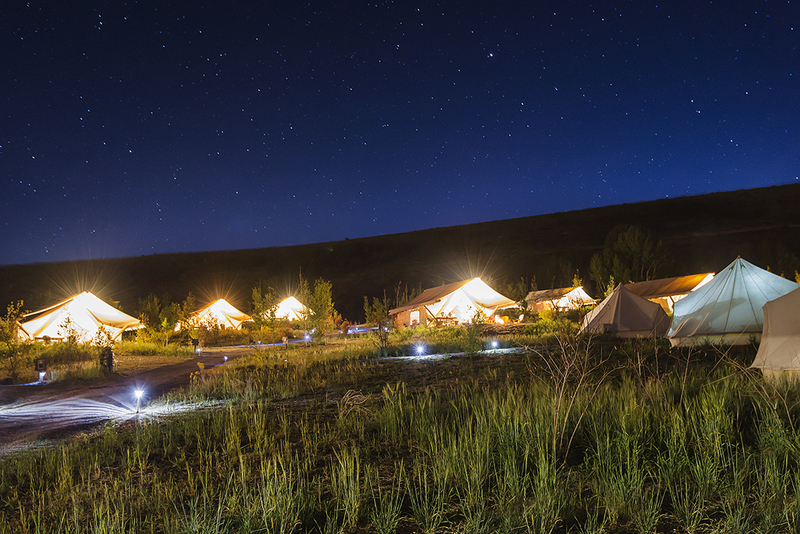 The May 19 to 21 celebration, adjacent to Utah’s turquoise-colored Bear Lake, is an all-inclusive weekend, starting at $140 per person for adults and $85 for kids under 12 (taxes, alcohol, and food & beverage service charge are additional). A 15 percent savings on reservations made by May 1 for the early season period, May 19 through June 15, is also available. The code early17pp may be used for online bookings or mentioned when making a phone reservation. The opening weekend festivities will kick off with a welcome reception at Campfire Grill Restaurant on Friday, May 19, providing a forum for guests to mingle. A tasting dinner will follow, featuring a preview of Chef Vincent Liberato’s new menu items and last season’s favorites. After dinner, Utah State University astral expert Tom Westre will lead a stargazing session to give guests a tour of Bear Lake’s beautiful night sky. Visitors can close the evening with complimentary s’mores at their private fire pits. Additional activities planned throughout the weekend include a yoga practice and country swing dance lessons. Off-site recreation like horseback riding, ATV rides, boating, fishing, and mountain biking can be arranged for an additional charge with Conestoga Ranch’s activity partners. Saturday’s lunch will feature Campfire Grill Restaurant’s all-you-can-eat artisan pizza, and a pig roast accompanied by live music will make for a festive dinner that evening. A farewell breakfast will be provided Sunday morning. Complete details for opening weekend can be viewed here. Reservations for this special weekend can be made by calling 844-GO-GLAMP. Online bookings are not available. Last year’s addition of the Event Tent has rendered Conestoga Ranch a popular destination for corporate groups and weddings. The resort also regularly hosts family reunions, bachelorette parties, and other celebrations. It is conveniently located two and a half hours from Salt Lake City International Airport and halfway between Park City, UT and Jackson, WY, making the ranch an ideal stop when traveling to/from Yellowstone National Park. For more info, visit www.conestogaranch.com or call 844-GO-GLAMP. Overlooking Bear Lake’s magnificent turquoise-blue waters just outside Garden City, Utah, Conestoga Ranch encompasses 18 acres and the ability to accommodate up to 178 guests. The glamping resort is designed to make camping easy, cozy and comfortable. For overnight accommodations, guests can choose from Grand Tents, authentically styled Conestoga Wagons, and Traditional Tents. Each is outfitted with soft beds and fresh linens, and Grand Tents feature en suite bathrooms. 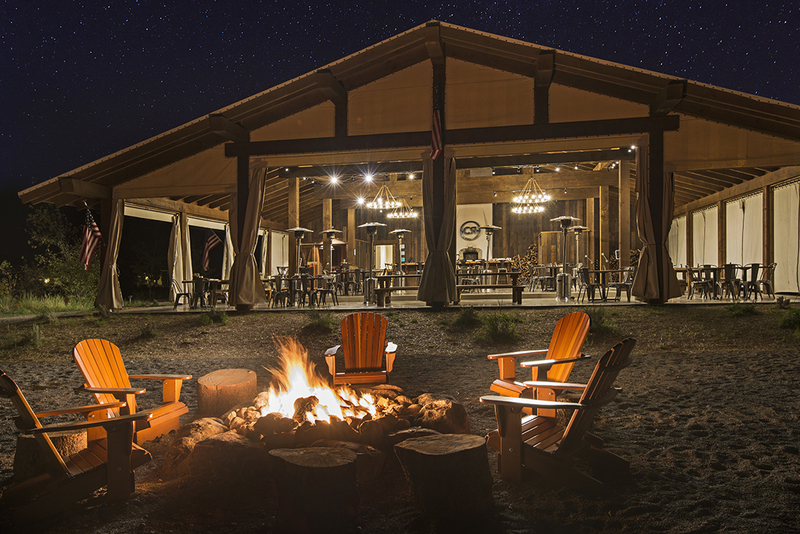 Resort amenities include a game tent, Main Lodge with private spa-style bathrooms, Campfire Grill Restaurant, General Store, activities field, Wi-Fi, complimentary firewood and s’mores kits, and cruiser bikes. For more info, visit www.conestogaranch.com.